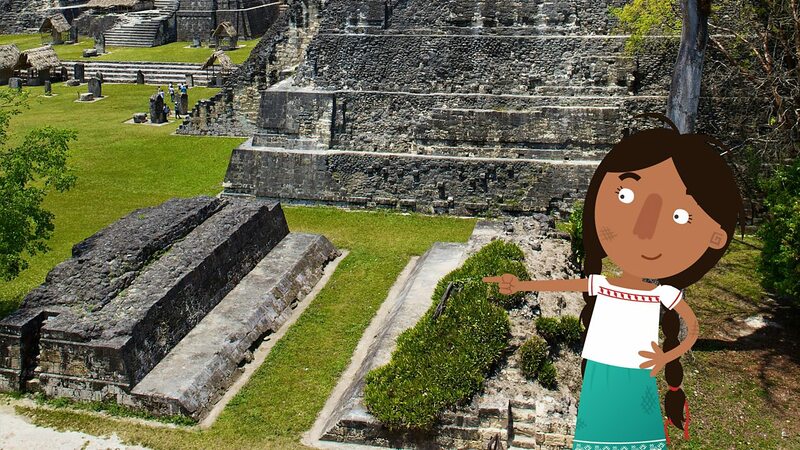 The Maya civilisation began long ago in a place called 'Mesoamerica'. This huge area is made up of Mexico and part of Central America. 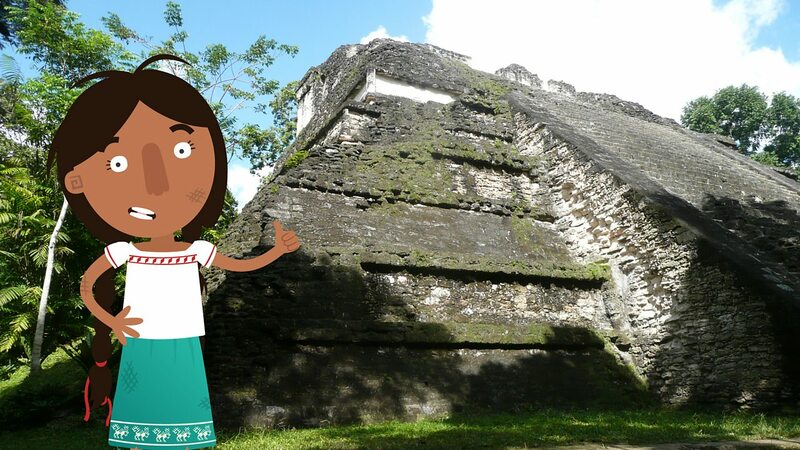 The Mayas built amazing cities like Tikal (which they called 'Yax Mutal') and Palenque. 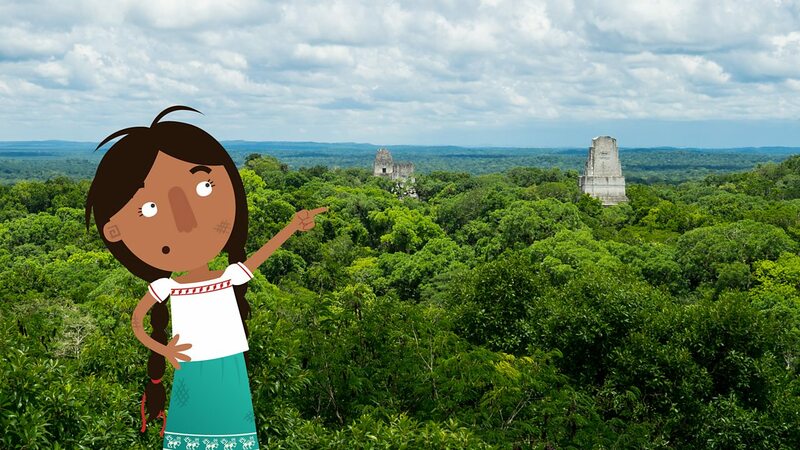 Even though they lived in different cities, ruled by different kings and queens, the Mayas shared a lot of common beliefs and traditions. They were experts at reading the stars and even built their cities as a map of the sky! They were also inspired by the creatures of the forest and shared many legends about animals, plants and nature spirits. 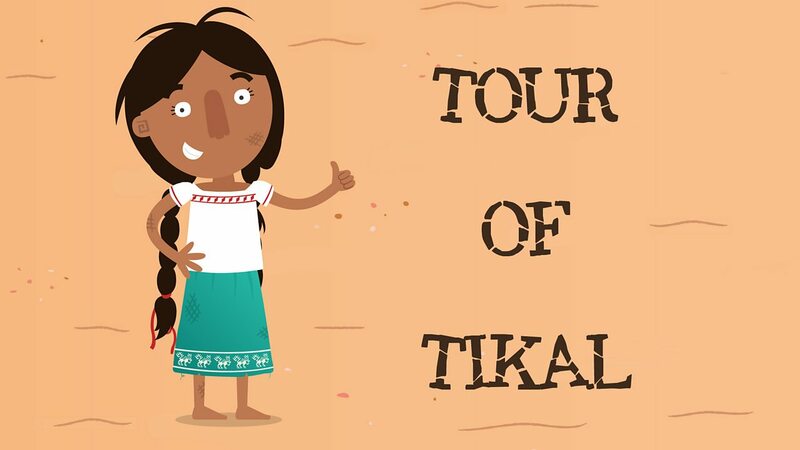 Follow Jade Skirt as she shows you some of the interesting things that you can still find in Tikal. 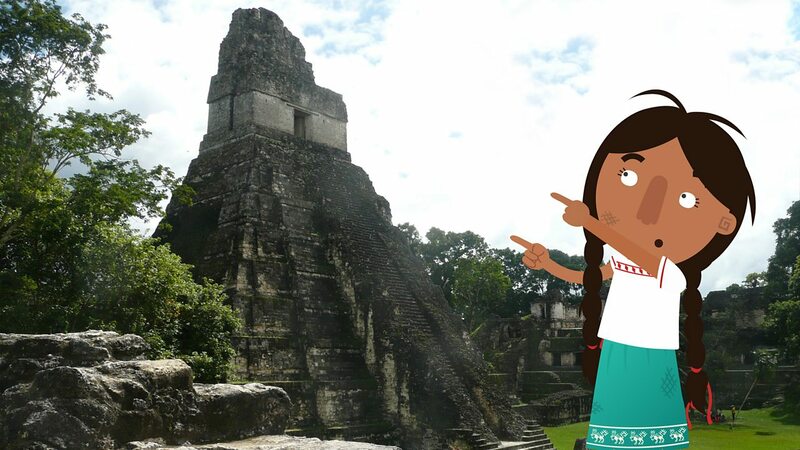 This is the ancient city of Tikal. 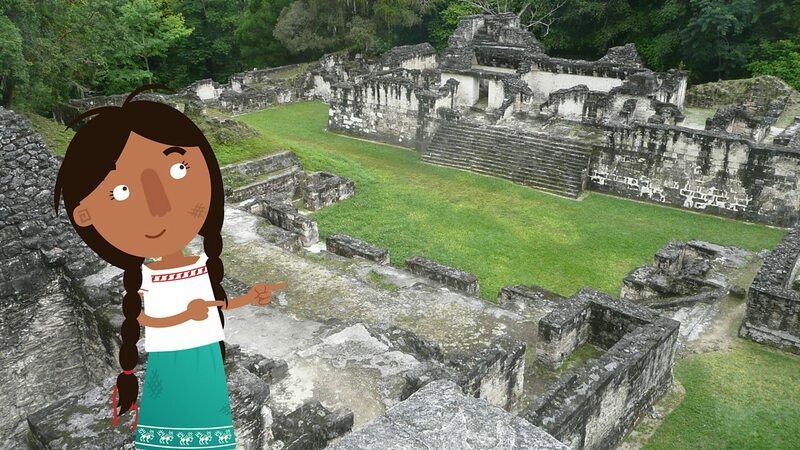 1300 years ago it would have been called 'Yax Mutal' and was home to thousands of Maya people. 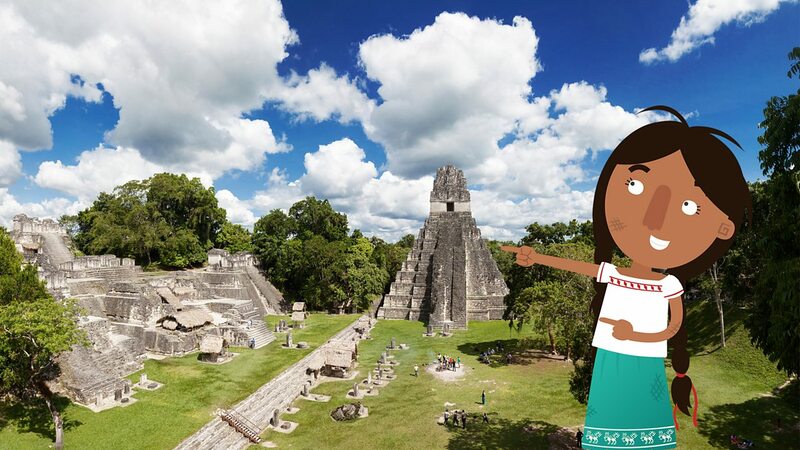 This is the Temple of the Great Jaguar. It's called this because, at the top, there used to be a large carving of king Jasaw Chan K'awiil sitting on a Jaguar throne. This is a commemorative slab which was placed here in AD711. It represents the great leader Jasaw Chan K'awiil, who was buried in The Temple of the Great Jaguar. Here is an ancient ball court. 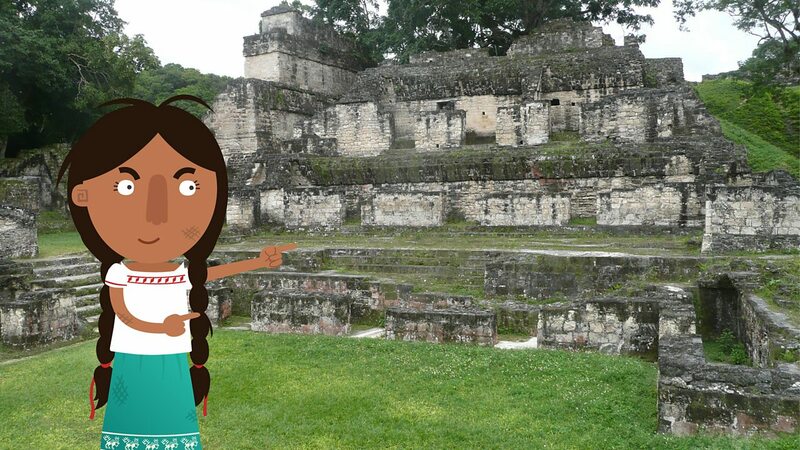 The games that the Mayas played here would have settled arguments between different cities. This is the central Acropolis. It would have been home to members of the royal household. This is the North Acropolis. 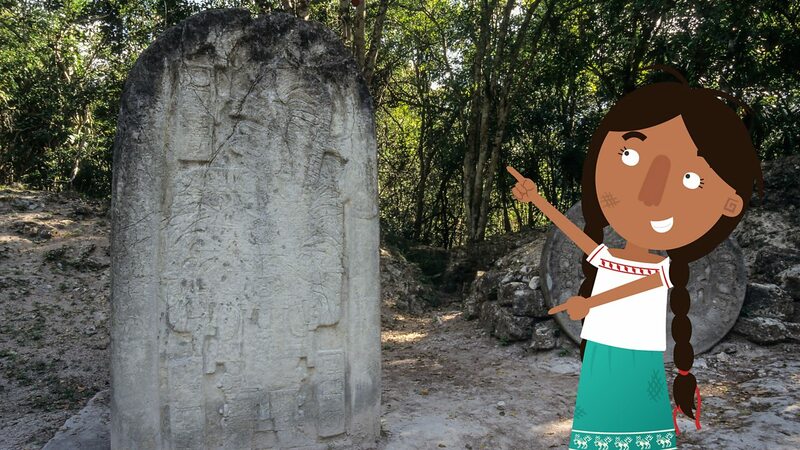 It was a large cemetery, a place where some Maya people would be buried. The city is surrounded by jungle. 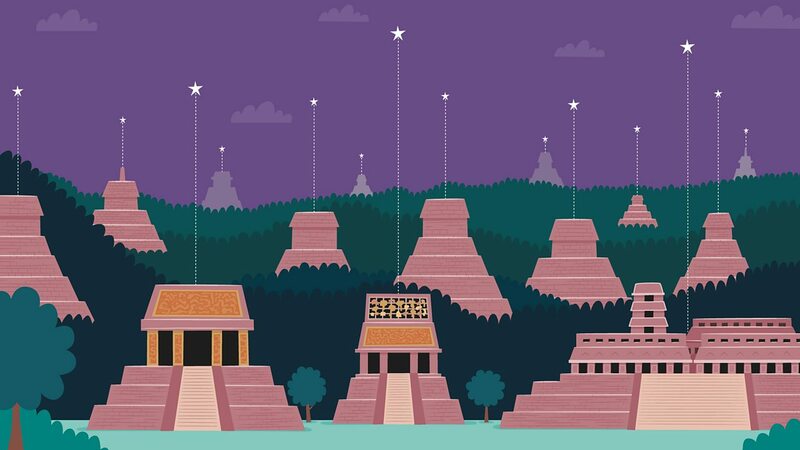 From the sky you can only see a couple of temples, including the Temple of the Great Jaguar. This is an area called the 'Lost World'. It's where important ceremonial buildings used to be and is one of the oldest parts of the city.